Celeste Cantú thought it would be settled by now—especially with the drought revealing just how much a bold gamble on a new, collaborative approach to managing water has paid off in some parts of the state. But more than a decade after California made its first successful investment in integrating water-related projects—encouraging water districts in the Santa Ana River watershed to pool resources to better manage their projects, an effort that has protected 5.9 million people from the prospect of water shortages—lawmakers are still wrestling with how to make this straightforward approach work in other regions. This year’s drought has injected new urgency into the debate over how to build a sustainable water system in California—with the expanding water crisis inspiring a range of proposals, from emergency legislation to a half dozen huge new water bonds. For Cantú, though, a former executive director of the State Water Resources Control Board, the most effective response to today’s crisis may lie in the past—almost 14 years ago, when the state first handed California’s diverse regions the authority to take on the state’s water challenges. When voters approved a $2 billion water bond in 2000, most of the funds were distributed in the traditional way—scattered among water projects all over California. But for a group of five Orange County and Inland Empire water districts, the measure tried a new approach. 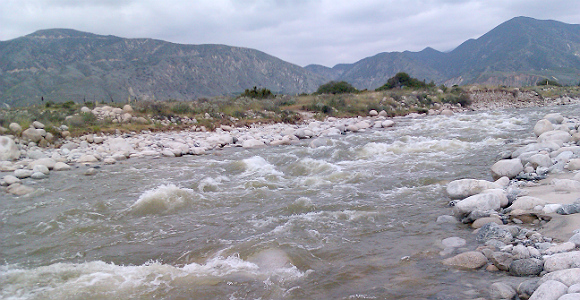 The water managers of the Santa Ana River watershed—collectively known as the Santa Ana River Watershed Authority (SAWPA)—were authorized to spend $235 million on “integrated” projects along the entire river, from forest programs in the mountains around Big Bear to conservation and flood control programs in the valleys below. This bold gamble—handing state resources over to a regional authority to accomplish a state goal—had its skeptics at the time, but it has paid off handsomely. The SAWPA collaboration—which has invested billions of dollars in water storage, groundwater cleanup, water recycling, and stormwater management—has allowed the region to store and conserve so much water that cities from San Bernardino to Newport Beach have hardly been impacted at all by this year’s drought. Applying the lessons learned by SAWPA—and encouraging the rest of the state’s more than 600 water and irrigation districts to adopt an approach now known as “integrated regional water management”—has proved harder than Cantú expected. Over the last decade, though, the state has found it surprisingly difficult to replicate this approach—though not for lack of trying. Two years after the passage of the 2000 bond, another measure, Proposition 50, attempted to institutionalize the SAWPA concept—making $500 million available for regional water projects. In 2006, yet another measure, Proposition 84, raised the bar even higher with a $1 billion pot of grant funds for integrated regional water management. This tug of war led to the creation of dozens of “regional” water management efforts that sliced watersheds into pieces—interrupting the natural hydrology and hampering efforts at integration. Today, a decade after SAWPA first received state funding for regional watershed projects, California still has hundreds of water and irrigation districts, each with their own water supply or water quality projects, all of whom act largely independently. With the drought worsening earlier this year, the California Economic Summit sent a letter to the governor and Legislative leaders outlining 11 actions the state could take to encourage regions to craft effective strategies for addressing the water crisis. 2. Allow for flexible funding to support integrated projects: Cantú believes the Summit effort to provide more flexible funding for regional water projects will bump up against one major obstacle: Proposition 218, a measure approved by voters in 1996 that restricts the ability of local authorities to raise fees to invest in new types of water infrastructure. 3. Use water bond to encourage integration: Cantú believes this year’s water bond, with a price tag between $6 billion and $12 billion, will probably be the biggest single investment the state will make in its water infrastructure for the next decade—with roughly a third of these resources going to watershed projects, from ecosystem protection to integrated regional water management. Cantú sees two opportunities in the bond to avoid repeating the mistakes the state has made over the last decade—most of them in the implementation of efforts to improve the way regions manage watersheds. In Cantú’s view, the time has come for the state to relearn the lesson of a decade ago—and to give California’s watershed managers the authority they need to solve their share of the state’s water challenges.